If you’ve been prescribed any drugs or take any medicines then this is worth a listen. Be sceptical about the evidence that’s out there suggesting the drug is going to better your health eg. how much better then the placebo is it? How many people in the trial got terrible side effects? 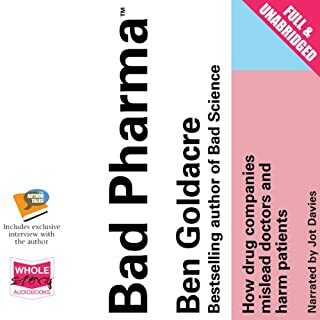 Having listened to this book I would definitely find the trials and do further investigation before taking any prescribed drugs. There were difficult bits to listen to without seeing the formulates eg. 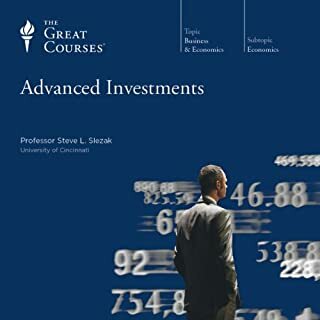 the chapters on bond pricing and standard deviation. I would have struggled if I wasn't already familiar with the material. There was lots on the CAPM model. I would have liked more on the 3-factor and 5-factor equity return models but at least they were mentioned. There are few useful internet sites of analysis mentioned which I will check out. Overall, stay in the equity market over the long term and be prepared for large drawdowns (but don't panic and sell), and stay diversified. The debate on drugs in the UK is not high profile or sophisticated. 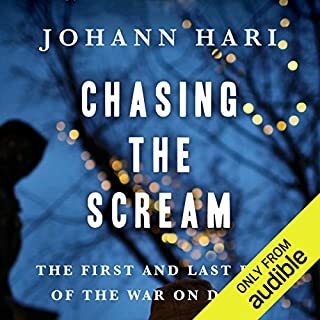 This audiobook covers addiction and it's causes, how misguided the 'War on Drugs' is, the opioids epidemic in the US, how prohibition doesn't/hasn't helped. It changed the way I look at drugs policy and hopefully will be read/listened to by policymakers. It sometimes covers anecdotes and stories in lots of detail but is always backed up by evidence and scientific studies. The book explained how fallible our memories are and gave good examples for when this can become problematic (e.g. Solving crimes that happened a long time ago). It also explained how easy it is to form new memories of events that didn't happen. Whilst this is worrying it is less worrying than the fact that few people understand this! 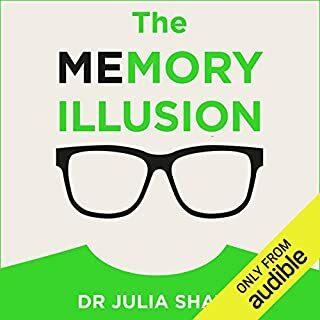 Definitely worth a listen to if you're interested in memory. 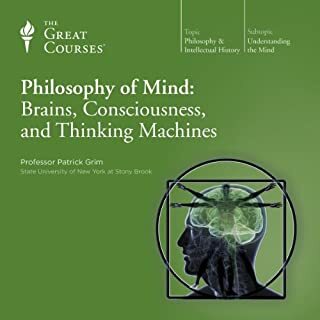 I've done a Philosophy of Mind course at the London School of Philosophy and this audible covered all the interesting bits in a clear and concise way. If you want to know about the ways philosophers (both past and present) think about the mind and brain then I recommend this course. 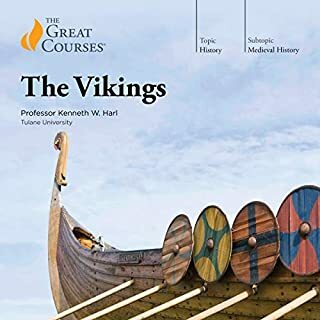 Interesting course on the Viking period of Scandinavia. It's got everything you'd expect from the course. 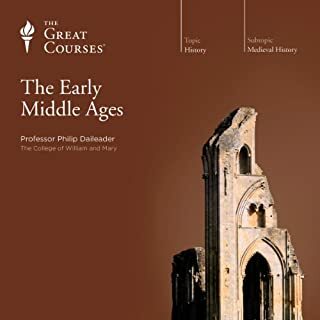 I liked the parts on discovery and settlement of Iceland; discovery of North America; how Christianity changed the Scandinavian economy and so relied less on Viking raids; the impact of Vikings on England e.g. King Alfred's defence of the raids and later when Harold defeated Harald in 1066 only to be defeated by William afterwards. 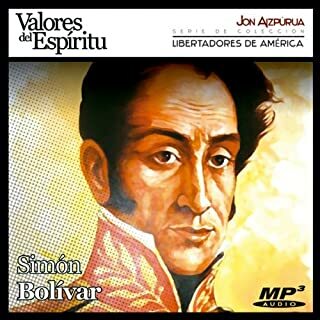 El genio poliédrico de Simón Bolívar (1783-1830) ha sido y es motivo de admiración universal. Fue el hombre de la guerra y de la paz: estadista, soldado, legislador, tribuno, maestro en la vida, en el pensamiento y en la acción. Proveniente de una familia aristocrática, desde su Venezuela natal extendió la lucha emancipadora contra el imperio español y tras haber librado cientos de batallas consiguió la liberación de Colombia y Ecuador, consolidó la independencia del Perú y dio nacimiento a Bolivia. I used it to help learn Spanish. It's a good biography describing important events and his life. 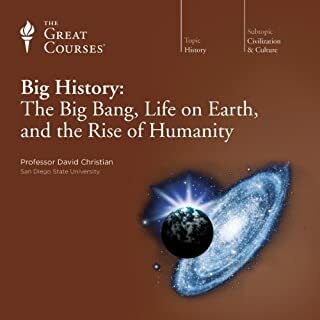 If you could sum up Big History: The Big Bang, Life on Earth, and the Rise of Humanity in three words, what would they be? A story from the Big Bang to today in an attempt to determine the most significant trends and events during these 13.7 billion years. I was starting from near absolute beginner level. He repeats words and sentences enough times to really hear them properly which gives you a chance at remembering them. Enough different tenses are covered for this level. 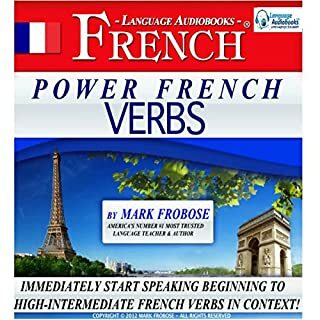 It gives you something to build on so hopefully the tables of verb endings will have more meaning. I've listened to lots of Great Courses and this is one of the best because of his passion and the period. He covers a long period of 700 years when Saint Augustine and Charlemagne were key players and a part of history that not many people seem to know much about. It's hard to keep track of so many groups of people: the Visigoths, the Arabs, the Vikings, the Merovingians and Carolingians but the course brings them a bit closer to the present.